OttO, The Generative Critter is a generative music composition and development hardware in one. Conceived as a solution to accessibility issues facing generative music listeners and composers alike, OttO makes good on the promise of delivering bigs things in a small package. OttO is a completely self contained generative solution that relies on free, open source tools and affordable electronic components to give users the ability to both program generative music and to experience it in all its evolving sonic splendor. 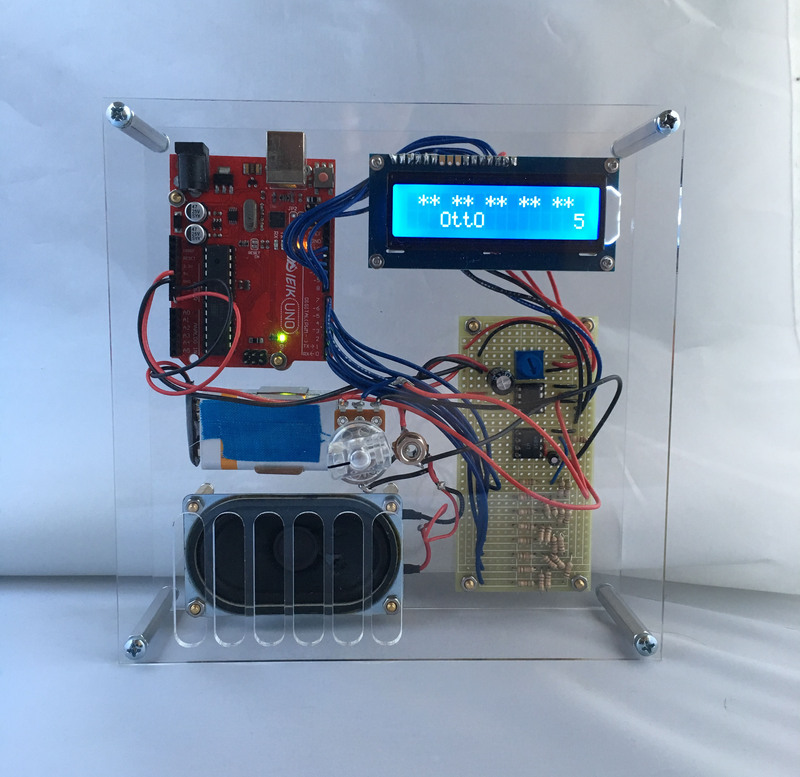 This prototype comes with firmware 1.2, the first composition coded by Grant Bouvier. Meant to demonstrate the capabilities of the device and provide boilerplate code for further compositions and experimentation, firmware 1.2 makes use of distribution tables and random functions to generate organic, stochastic melodies. For firmware and documentation, visit the OttO GitHub repo.